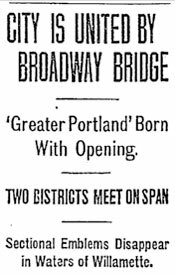 Portland’s Broadway Bridge opened with great ceremony on April 22, 1913. It became the fifth span across the Willamette in Portland, and first to unite North and Northeast Portland with the West side. 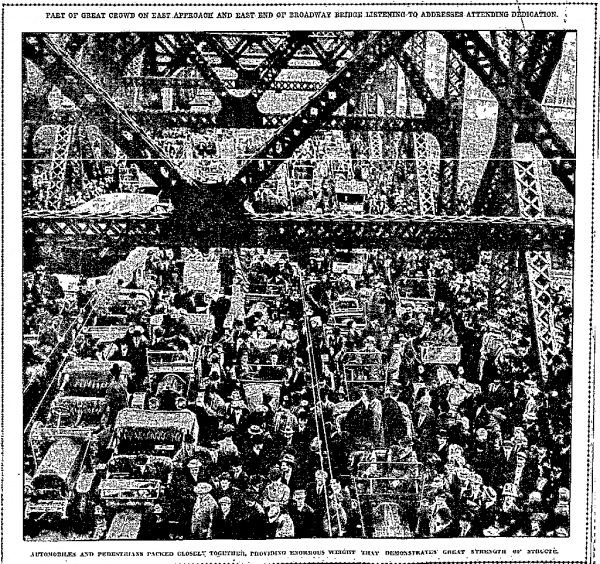 East joined west, north joined south and distant sections of the city were brought into close communion when the massive new Broadway bridge across the Willamette was officially dedicated and formally opened yesterday afternoon. When greatest trials beset their days. The world’s stately ships may come and go. Ever guiding belated who roam. May it stand unchanging, ever grand. The step of both weary and glad. And oft the step of sullen and sad.